Kimberly Rivera at home. Army Times photo. After considering her options, Rivera voluntarily departed Canada at the Thousand Islands border crossing into New York State. She was immediately arrested and detained, and transferred to military custody at Fort Drum, New York. On Friday, September 21, she was in custody at the Lewis County jail in Lowville, New York. Her address is listed here, Inside & Out. She now awaits transfer to a different military facility where she faces punishment for being absent from her unit. The army enlistee arrived in Canada with her husband and two young children in January, 2007 while on leave following a three-month tour of duty in Iraq. She had seen war, and wanted nothing more to do with it. 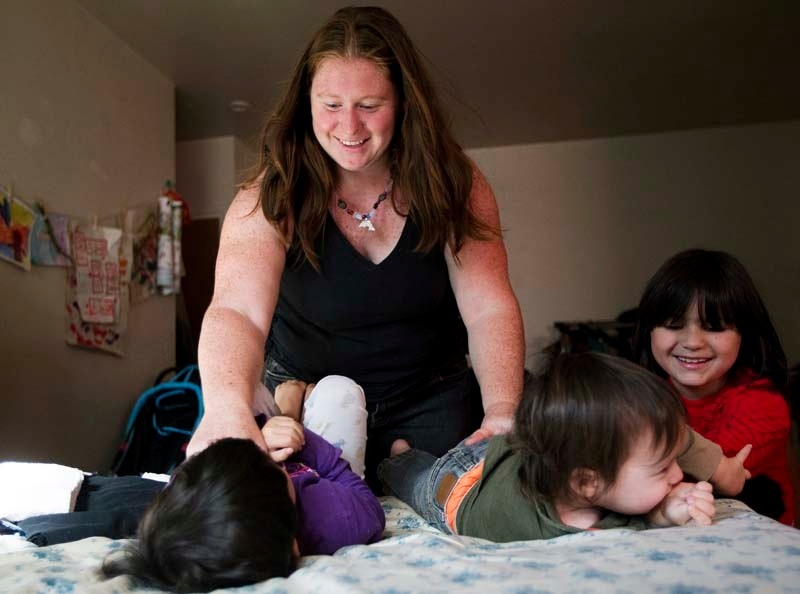 Her husband and now four minor children crossed back into the United States separately. Kimberly did not want her children to have to see her detained by the U.S. military, as this would be traumatic for them. During a Federal Court hearing in Toronto on Monday, September 17, lawyers for the Department of Justice argued that Kimberly would not be detained when she crossed the border. Justice Near, of the Federal Court, ultimately denied her request for a stay of removal, finding arrest and detention to be speculative, despite the fact that two other public Iraq war resisters, Robin Long and Clifford Cornell, had been arrested and jailed for a year following their deportation from Canada. Just as the Rivera family’s lawyer argued in court and as was predicted by her Canadian supporters, Kimberly was detained immediately upon crossing the border. September 24 Update: Kimberly Rivera remains in military custody. She is in transit on her way to Ft. Carson, Colorado.